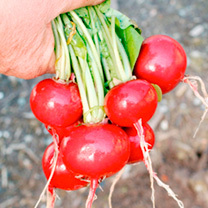 This quick appearing crop is normally a rich red, and adds a beautiful colour to any salad bowl. 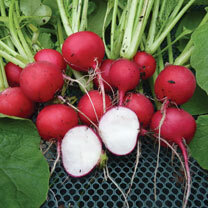 This edible root crop can vary a great deal in size and colour; all depending on the variety of Radish seed that is used. 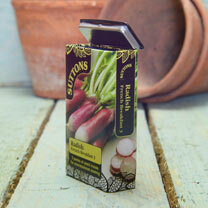 Radish seeds need to be sown in succession between March and September. 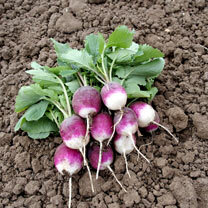 They need to be liberally sown into finely raked soil, in rows about 25cm apart. 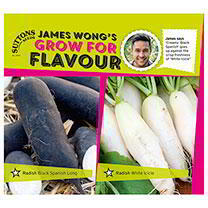 The seeds should germinate within 4 to 7 days and reach maturity within 4 to 6 weeks. 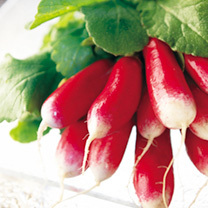 Radish Mooli requires a sunny position and a light, deep well drained soil that is on the poorer side. 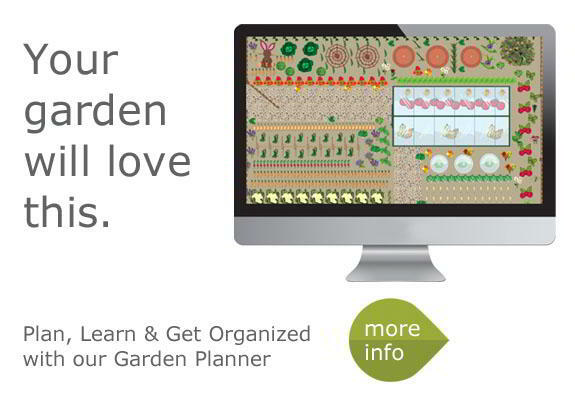 Dig sand or grit into the soil to ensure a friable soil that will allow the roots to swell to their maximum size. 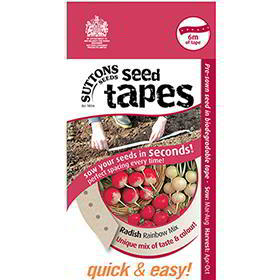 Sow the seed from July through to the end of September in rows spaced 23cm (9") apart. 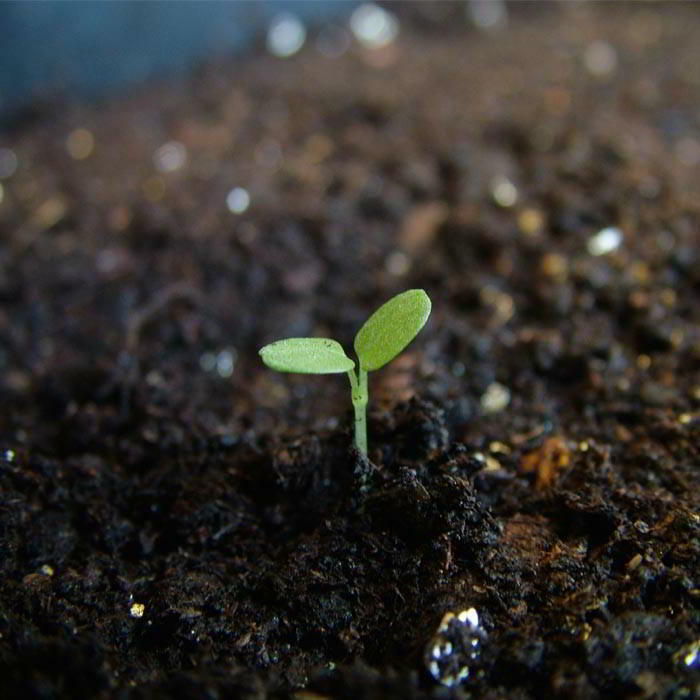 When the seedlings reach a height of 5cm (2") thin them to 2.5-4cm (1-1½") apart. 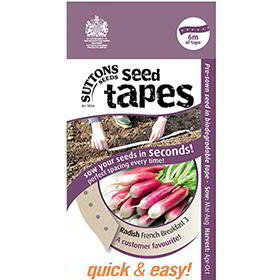 To enjoy a regular supply sow in small batches at fortnightly intervals throughout the sowing period. 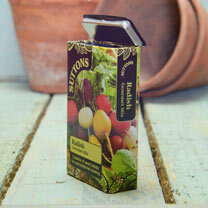 Keep the plants well watered to encourage the roots to swell. 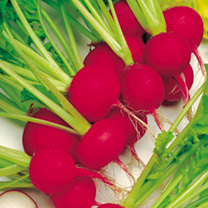 From an early July sowing baby roots can be harvested from late August. 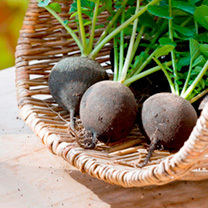 Larger roots will be ready to harvest by late November and can be stored in boxes of moist sand and kept in a cool frost free place. 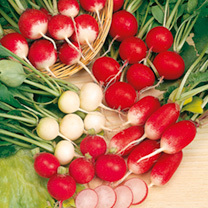 Can I grow my Radish in a part-shaded position? 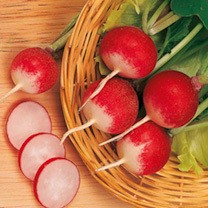 What has caused the yellow spots on my Radish plants?